Nancy Bell is the Education and Garden Coach Coordinator at Gateway Garden Center in Hockessin, DE. 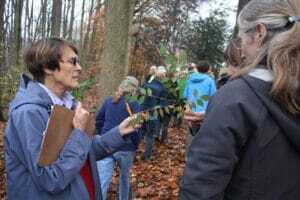 She has Certificates of Merit in Ornamental Horticulture and Landscape Design from Longwood Gardens and currently hosts The Garden Clinic, a radio call-in talk show, on Saturdays in the spring and fall. She is also a frequent guest on NBC’s “The 10! Show” in Philadelphia.